Here is something for the Hello Kitty fans! 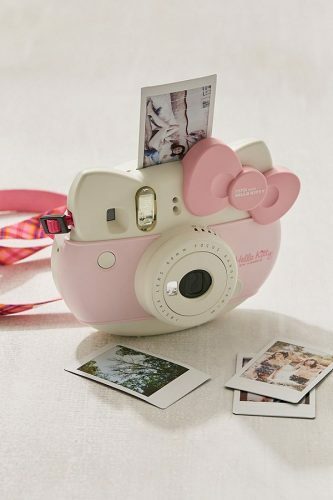 Fujifilm Hello Kitty Instax Mini 8 Instant Camera is currently on sale at only USD $89 on Urban Outfitters, don’t miss the opportunity to score it at a discounted price! 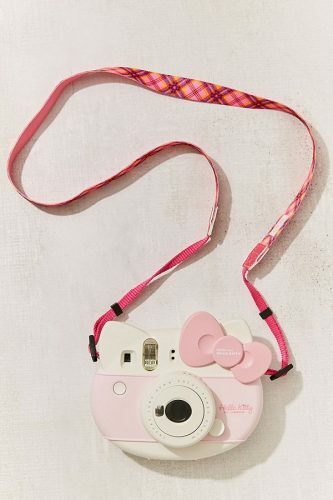 The adorable Hello Kitty-shaped Mini 8 Instax Camera features simple exposure adjustment, an automatic flash + a close-up collapsible lens that produces super high-quality photos. Included is a pretty in pink plaid shoulder strap, a pack film that is Hello Kitty-themed, as well as stickers! Urban Outfitters ships within US only, so sign up with us to get the items delivered to your doorstep at only RM10/lb!